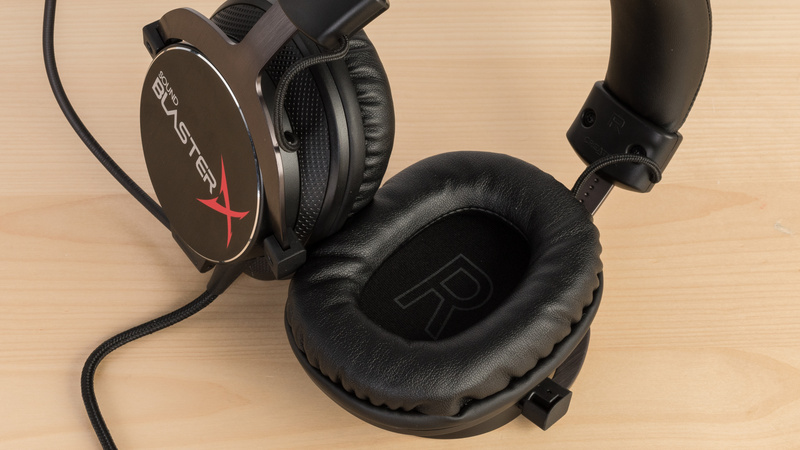 The Creative Sound BlasterX H5 Tournament Edition are well-built and comfortable gaming headsets with a great mic. They're a good option for gaming and watching videos due to their low latency wired connection, but won't be as convenient as some of the other wireless gaming headsets we've reviewed. On the upside, you can also use them as casual headphones thanks to their outdoor-friendly design and decent isolation. The Creative H5 have a versatile design that looks great for gaming and casual use. They're one of the few gaming headsets with a control scheme that also works for mobile devices. You can remove the mic to make them look like common over-ears, and they're sufficiently stable to jog with. They have a durable build quality and the heavily padded ear cups fit well around most ears making them quite comfortable to wear for long listening sessions. 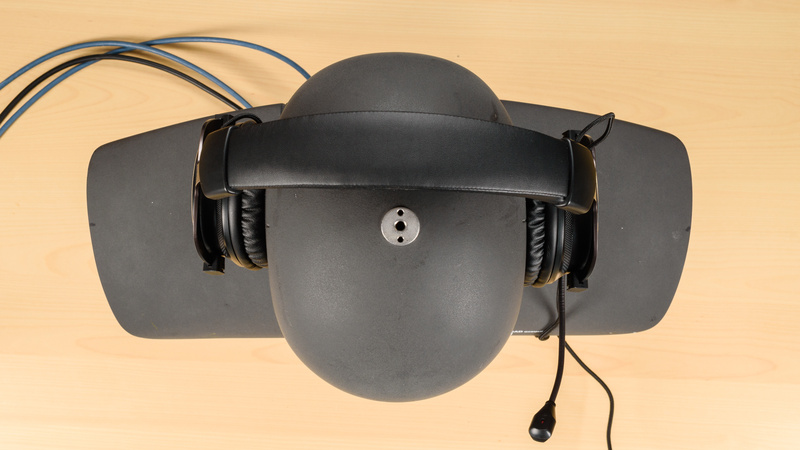 Unfortunately, the headband doesn't extend far enough, which may cause some fatigue for some listeners, and the slightly rigid design is not very portable. 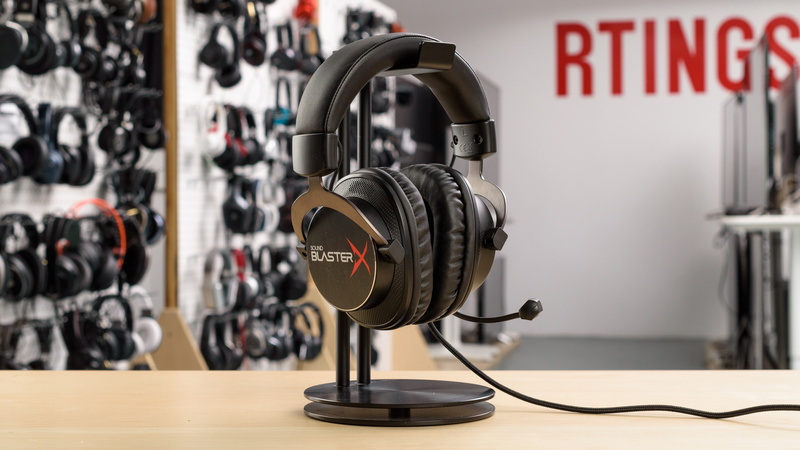 The Creative SoundBlasterX H5 Tournament Headset has a style reminiscent of the HyperX Cloud II and some of the Beyerdynamic headphones. They have a wide and well-padded headband and a metal frame that highlights their build quality and makes them feel a bit more premium. The ear cups are large and also well padded and you can remove the mic which makes them look more like casual over-ears that you can wear every day. The color scheme is not too flashy, unlike other gaming headphones which makes them look and feel a bit more professional and high-end. The SoundBlasterX H5 are comfortable headphones. They're a bit tight out-of-the-box but thanks to the excellent padding on the ear cups and headband, the pressure is well distributed. They're not ideal for very long listening sessions as they tend to get a bit hot. Also, some listeners may experience a bit of pressure since the headband doesn't quite extend far enough to accommodate all head shapes and sizes. However, for most users, they're comfortable and decently lightweight considering their size and build quality. 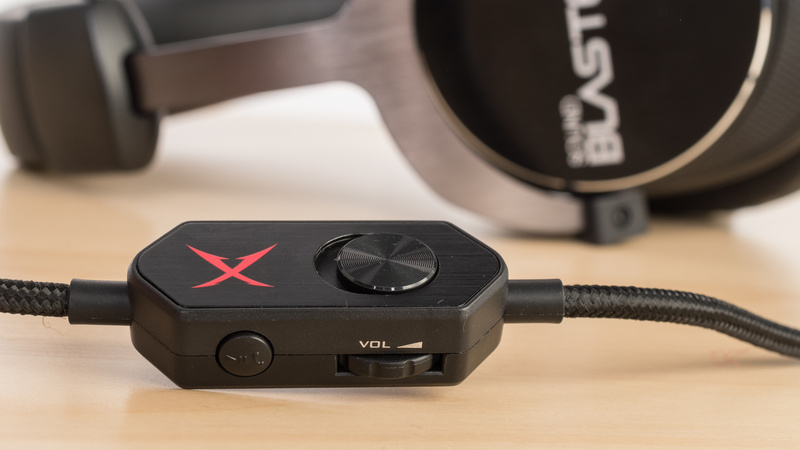 The Creative SoundBlasterX H5 have an efficient and versatile control scheme that works for gaming and casual listening. They have an inline remote with an on/off switch for the mic, a volume dial and a call/music button to change tracks on mobile devices. The call/music button doesn't have the best feedback but it's a welcome addition that's not always available on gaming headsets. The SoundBlasterX H5 are still too cumbersome to casually carry around on your person despite being more compact than typical gaming headphones. They do not fold and the ear cups do not lay flat so they're not very portable. Unfortunately, they also don't come with a case or pouch to carry them in, which is a bit disappointing. The Creative H5 have a good and sturdy build quality. 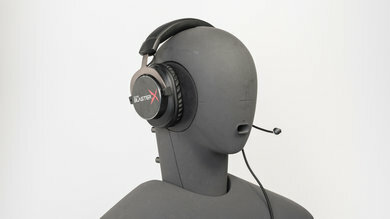 The earcups are dense and the headband is flexible and reinforced with a metal frame. The materials used in their build also looks and feels premium and since they have few moving parts, they're not as susceptible to wear and tear. 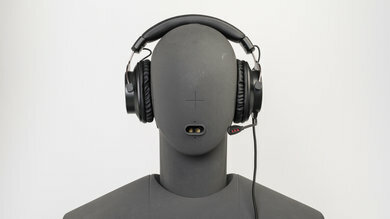 Unfortunately, the audio cables connecting the ear cups are exposed and could get damaged if they get hooked or tangled on something. The Creative H5 headphones are stable enough to use while jogging but are not ideal for high-intensity sports. They're still somewhat bulky gaming headphones but thanks to the comparatively compact design and flat ear cups they do not sway much under physical conditions. 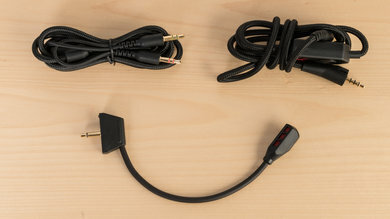 The cable also disconnects if it's hooked by something but not as easily as some other more casual everyday headphones. 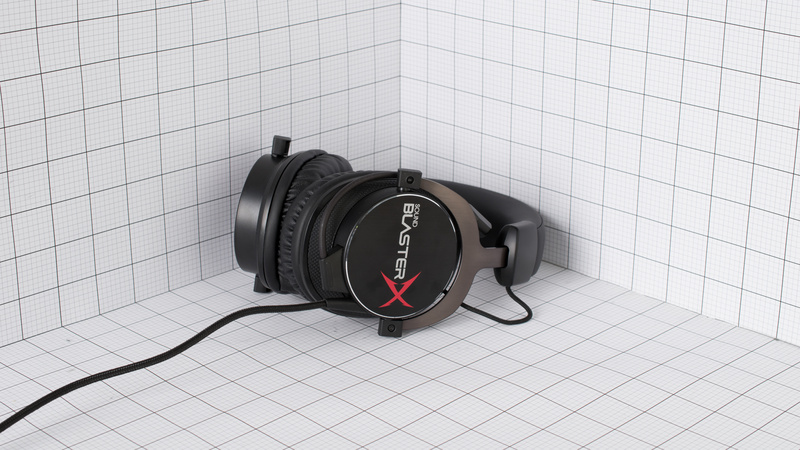 The Creative Sound BlasterX H5 is an average sounding pair of closed-back over-ear gaming headsets. They have a deep bass, a consistent mid-range and a very good treble. However, their bass is boomy and prone to inconsistencies across multiple users, their mid-range is muddy and recessed, and like most other closed-back headphones, don't have a open and spacious soundstage. Good bass range performance. 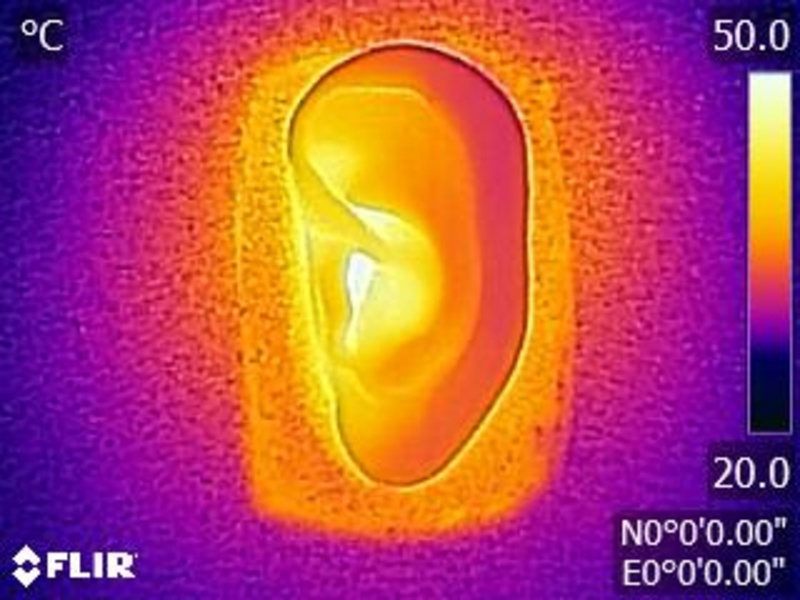 Low-frequency extension is at 10Hz, which is excellent. But low-bass, which is responsible for low-end thump and rumble is lacking by 3dB. Additionally, high-bass is overemphasized by about 5dB, making the bass of these headphones noticeably boomy. Also, their bass delivery varies significantly across users, and is sensitive to the quality of fit, seal, and whether you wear glasses. The response here represents the average bass response and your experience may vary. Average mid-range performance. The 4dB bump in low-mid, which is the continuation of high-bass overemphasis, makes the mid-range of Sound BlasterX H5 cluttered and muddy. The 5dB dip around 1KHz on the other hand, pushes vocals and leads to the back of the mix. Very good treble range performance. The response is rather inconsistent, but overall, the treble is on the bright side. The narrow dip around 4.5KHz, will have a small negative effect on the detail of vocals/leads. Sub-par consistency performance. 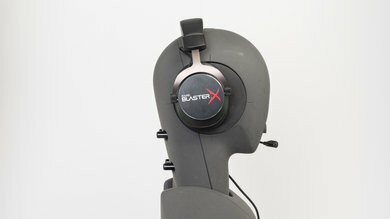 The Sound BlasterX H5 is prone to inconsistency in their bass delivery across multiple users, especially if they are wearing glasses. We measured a maximum deviation of 12dB at 20Hz. In the treble range, the consistency is also below-average, with about 6dB of deviation around 2Khz. Good harmonic distortion performance. The amount of harmonic distortion in the bass range is rather elevated, but within good limits. In the treble range, there are some sharp peaks in THD which could make those frequencies to sound a bit harsh. The Creative H5 isolate well enough for commuting. 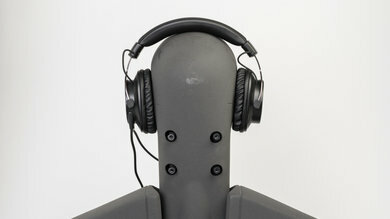 The ear cups create a good seal around your ears that doesn't leak much even a higher than average volumes. It also prevents a decent amount of ambient noise from seeping into your audio. They won't be as suitable for loud environments, like some of the noise canceling headphones we've reviewed, but they are one of the most isolating gaming headsets that we've tested so far making them versatile enough for outdoor use. Decent isolation performance. The H5 doesn't have active noise cancellation, and therefore, don't isolate in the bass range. However, the achieve about 15dB of isolation in the bass range, and more than 32dB in the treble range. Both values being good. Above-average leakage performance. The significant portion of leakage sits between 2KHz and 6KHz, which is a narrow range. The overall level of leakage is not very loud either. Excellent microphone performance. 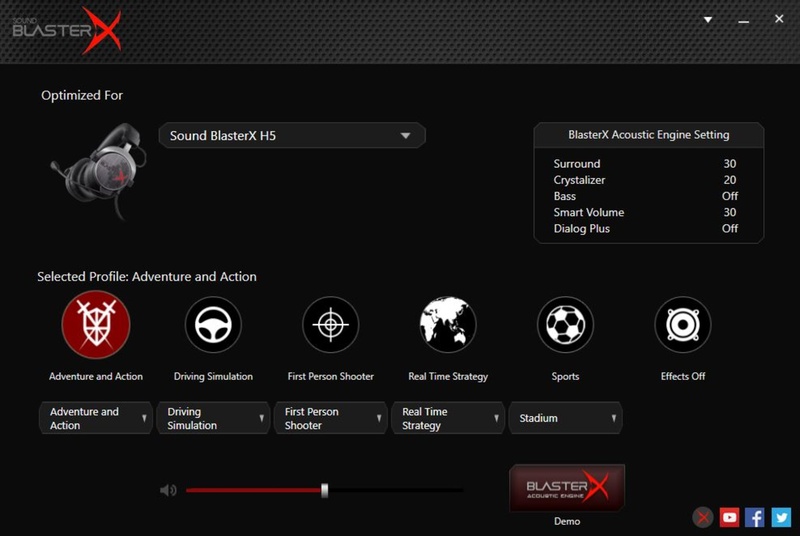 Speech recorded with the microphone of the Sound BlasterX H5 sounds full, detailed, clear, and will be easily intelligible. However, it could lack a little bit in brilliance and airiness. 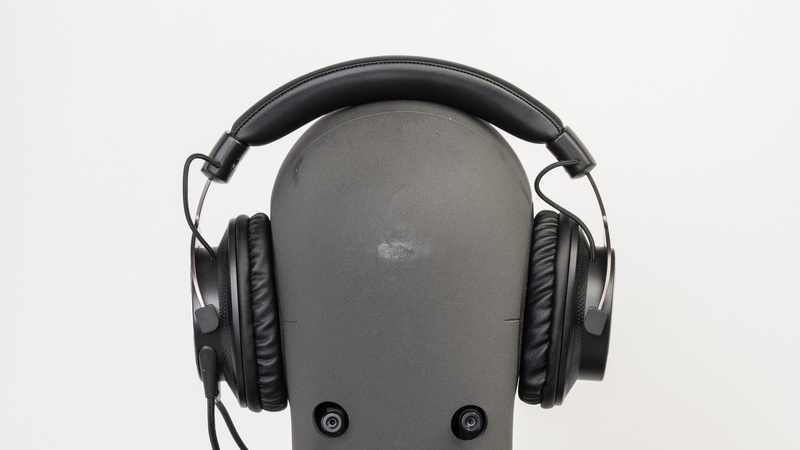 In noisy environments, the microphone of the H5 is capable of separating speech from ambient noise to a remarkable degree, and should be suitable for use in almost all environments, including a subway station. Great recording quality. Low-frequency is extended down to 20Hz, which results in a full sounding recorded speech. High-frequency extension is at 7.5KHz, meaning recorded speech will be easily understandable, but may lack in airiness. The peak around 4KHz, makes the sound of these microphones a bit bright. Excellent noise handling. The H5 was able to achieve a speech-to-noise ratio of 45dB, meaning they are able to separate speech from noise to a great degree. Supports the BlasterX Acoustic Engine Lite which offers limited customization options and presets. It's not as personalizable as some of the more dedicated software for other gaming headphones like the SteelSeries Engine with the Arctis 7 or the Astro Command Center for the A50. On the upside, since they're wired they have practically no latency but do not have the convenience of a wireless design. The BlasterX Acoustic Engine Lite is a decent software that offers mild customisation options for the Sound Blasterx H5. It installs drivers that allows you to select presets for specific games or game genres. This in turn increases the bass or level of simulated surround sound. 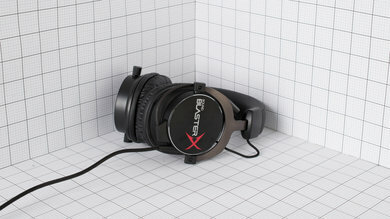 It is a multipurpose driver configuration, so it will work with any stereo headphones with a 1/8 TRRS audio jack but has specific preset settings for the sound blaster headphones. It's decent but doesn't offer as much customization as other gaming headsets with more dedicated software implementation. 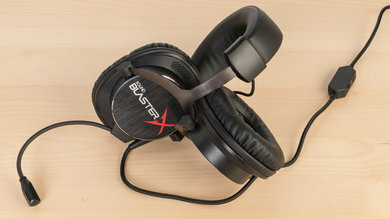 The Creative Sound BlasterX H5 are slightly better headphones overall when compare to the Corsair HS60. The H5 are more comfortable than the Corsair. They also have a detachable cable and a more outdoor-friendly design. They are slightly better built, although not by much, but have a much better microphone for voice chat in-game. On the other hand, the HS60 have better balance sound quality overall. They also come with a more customizable app and a USB that allows for surround sound when connected to a PC. 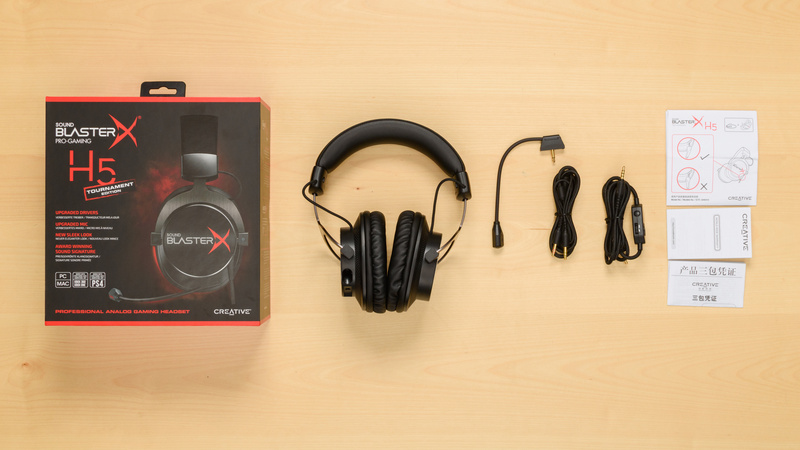 The SoundBlasterX H5 are a decently versatile gaming headset. They have negligible latency since they're wired and a comfortable over-ear design that you can use outdoors with your mobile devices. They sound decent but won't be ideal for more critical listeners and unfortunately, they're not as convenient as the other wireless gaming headsets since they have a limited range and few customization option via app/software support. Average for critical listening. They have a decent audio reproduction a bit too much high bass which makes them sound a bit boomy. While this is fine for gaming it won't be ideal for more critical listeners. They're also a bit inconsistent with the bass-range, especially if you wear glasses, and they do not have the best soundstage due to their closed back design. Average for commuting. The Creative H5 have a slightly bulky design that doesn't fold, but unlike most of the gaming headsets we've reviewed, they should isolate well enough for public transit. Sub-par for sports. They are stable enough for jogging but a bit too bulky for more intense physical activities. 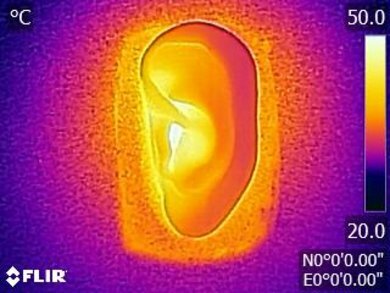 They also make your ears quite warm after wearing them for a while which will be worse if you use them to workout. Decent for office use. They block a good amount of noise and they do not leak much even at higher volumes. Decent for home theater use. If you're using these headphones with your PC, then the low latency of the wired connection and decent audio reproduction makes them great for watching videos and movies. However, they won't be ideal for all home theater setups, as the cable is not long enough, even with the headset adapter extension cord. Good for gaming. 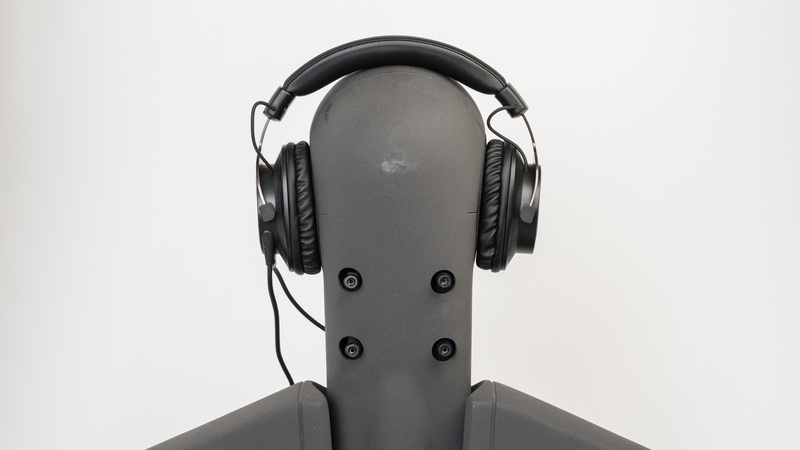 The Creative H5 have a great mic, a low latency wired design and a comfortable fit you can wear for hours. They also have a decently well-balanced and bass-heavy sound that should work well for gaming. Unfortunately, they're not the most breathable headset, so they will make your ears a little warm after gaming for a while. They have mediocre software support, and the lack of a wireless design makes them less convenient than some of the other gaming headsets we've reviewed.